Not tested for Watson SDK for Unity version 3+, please use 2.x until this content is updated. A little AI AR project to get you up and running with IBM Watson and Unity. This section is broken up into two different processes, one for Speech-To-Text and Text-To-Speech, the other for Assistant fka Conversation (as it requires a little more work). Create an IBM Cloud account if you haven’t already. Click “Catalog” in the upper menu. 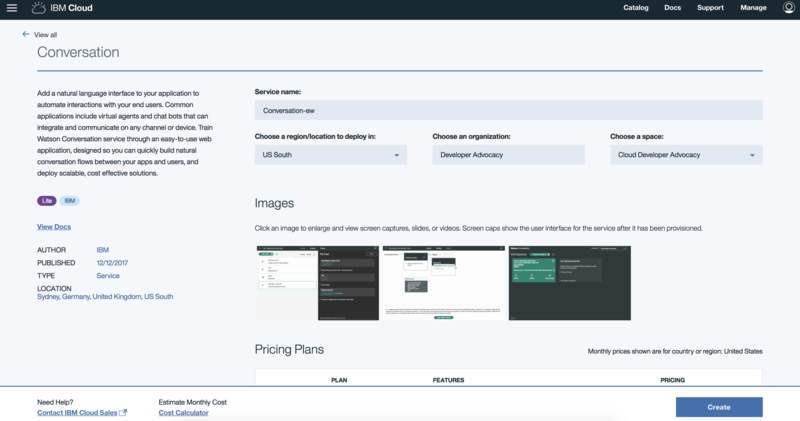 This will take you to the list of available services, platforms, and other offerings on the IBM Cloud. 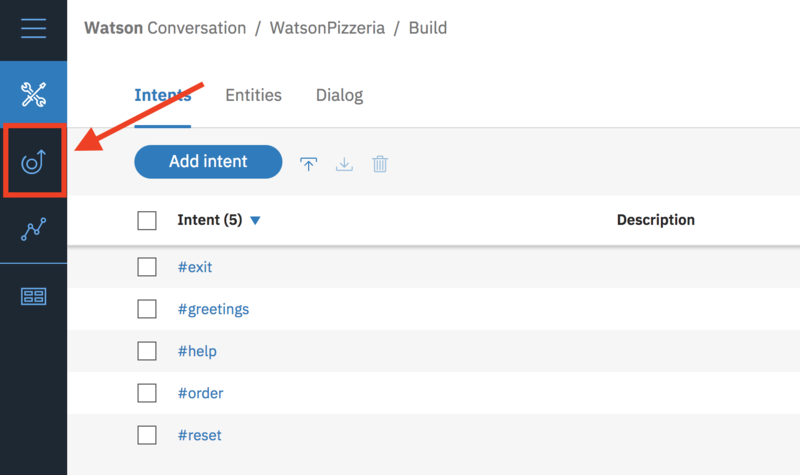 To make it simple, use the column menu and click “Watson” at the very bottom. 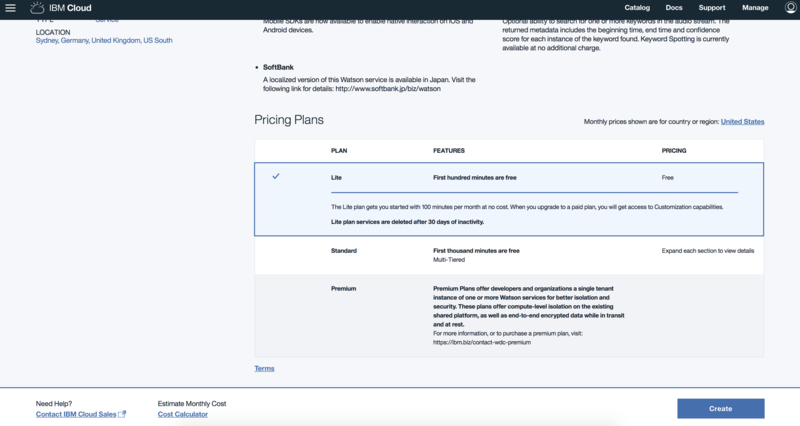 This will filter the catalog to just show Watson Services. Click on either Speech-to-Text or Text-to-Speech to start the provisioning of the service. The steps below will outline the process for Speech-to-Text but will be identical for Text-to-Speech. Name the service, and select a region/location to deploy in. If applicable, choose an organization and space or leave it to the default if you only have one of each. For pricing plans, keep the Lite plan, but notice the first 100 minutes are free per month. Click “Create” and wait for the service to provision. This may take some time. Once the service is provisioned successfully, click on Service credentials. Expand “View credentials” to reveal your username and password. Enter these as strings in the C# script to access the API. Repeat the same process for Text-to-Speech. Click on Assistant to start the provisioning of the service. 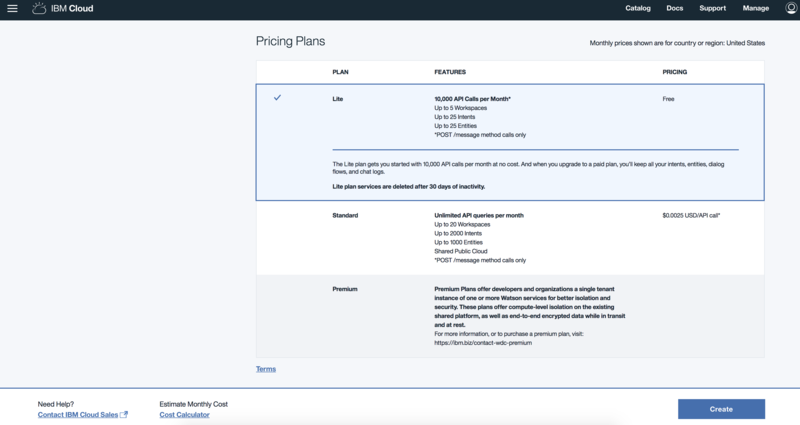 For pricing plans, keep the Lite plan, but notice your limits. Once the service is provisioned successfully, click on the Launch Tool button. 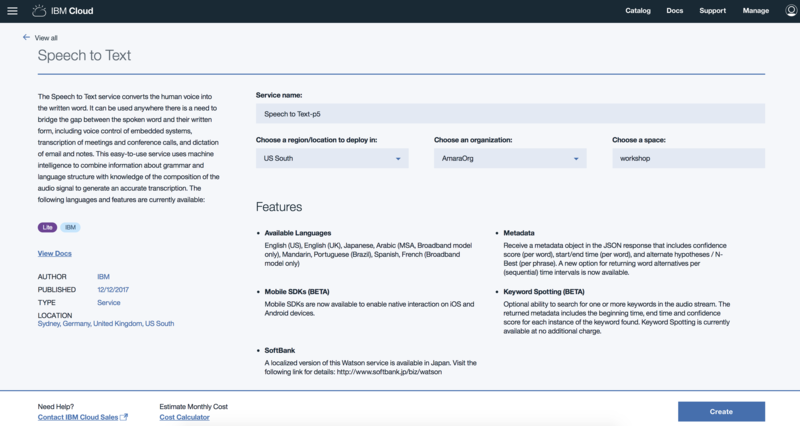 This opens the Watson Assistant tool and may require you to login again. The page that loads contains your workspaces. Click the icon to import a workspace. 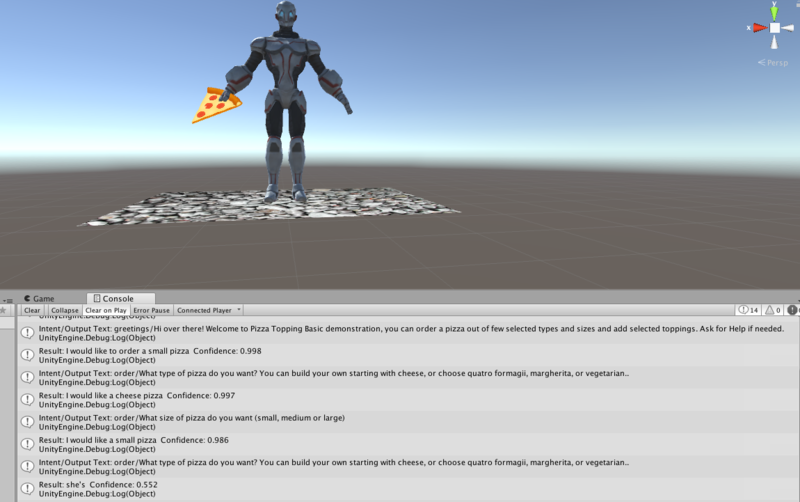 Import the json file from the Pizza Ordering Code Pattern. Choose the file and import everything. This will create a new workspace with all the intents, entities, and dialog intact. 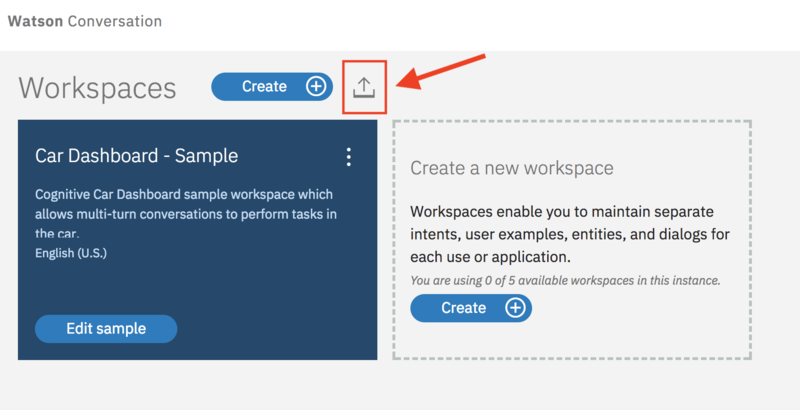 Click the new workspace tile to open it. Click Credentials (next to Deploy Options). Copy your workspace ID, username and password. Enter these as strings in the C# script to access the API. Alternatively, from the IBM Cloud Conversation page (page where the Launch tool button sits), click “Service credentials” then expand “View credentials” to reveal your username and password. Enter these as strings in the C# script to access the API. This does not show your workspace ID.